Everyone knows that Intertops Poker and Juicy Stakes are great online poker rooms. To make sure everyone knows they each also have a few casino games they're giving poker players 20 Free Blackjack hands this month. Get a free $1 bet on each of the twenty hands and keep what you win (with a low 5X wagering requirement). Choose any of the Blackjack games available via the poker room: classic Blackjack, Face Up 21, Double Draw or Perfect Pair. Play up to three hands at a time. Free hands are available until July 22nd. 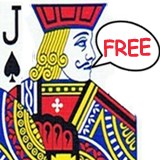 Juicy Stakes Casino players can get Free Blackjack details here. Intertops Poker players information is available here. Get a $1 free bet on each free blackjack hand and keep what you win. Juicy Stakes’ and Intertops Poker are two of the most popular online poker rooms on the Revolution Poker Network. They each also offer casino games provided by Cake casino software within the poker client. They have Roulette, Baccarat and recently upgraded Blackjack tables as well as some slots. Their recently upgraded Blackjack tables feature a unique (optional) player coaching system and an excellent hand history tool.